Fiji TV signs a non-disclosure agreement with Digicel(Fiji) and 4 other companies for the partial divestment of Sky Pacific. Fiji TV confirms that the deal with Telikom PNG to sell Media Niuguni Limited is still intact. Fiji TV announces that they are ready to move to Digital platform and plans to launch Channel Two. A new upgraded paying system for Sky Pacific launched. RB Patel declares a final dividend of 10¢ per share to be paid on 27th August, 2015. Fijian Holdings Limited announces a 9% growth in consolidated revenue for the 12 months ended 30th June, 2015 with consolidated group revenue ended June 2015 amounting to $276m compared to $253m for the same period last year. Fiji TV announces audited financial statement for year ended 30th June with net profit of $1.6mil representing a 20% increase from last financial year. The Holding Company recorded a revenue of $23.4m for FY 2015. RB Patel releases its Annual Report for 2015. Fiji TV makes a public announcement regarding the sale of Media Niuguni stressing that the deal is intact and that while all conditions have been satisfied, a specific sporting right for PNG is being discussed. Fiji TV announces the appointment of two new Board Directors – Ulaiasi Taoi and Shane Hussein. FHL announces the appointment of 3 new Board Directors. The appointment made by the Minister of I Taukei Affairs sees Commander Viliame Naupoto, Aisea Vosailagi and John O’Connor became Directors. Fiji TV secures a non-exclusive broadcast rights to air the 2015/2016 Season of the English Premier League. FHL declares $3.351m as the second interim dividend to be paid to company shareholders for the year ended June 30th, 2015. Fiji TV releases more information on the sale of Sky Pacific adding that after much consideration, Digicel was chosen and the sale was made at a cost of $5.75m. The Company also clarifies that proceeds from the sale will be used to reduce outstanding creditors while a portion may be distributed among shareholders subject to Board approval. Fiji TV releases its 2015 Annual Report. Fiji TV signs a sale agreement with Digicel Fiji Ltd. The agreement will see Digicel take part of the divisional employees from Sky Pacific and ensure that Sky Pacific services will continue in Fiji and the Pacific. Fiji TV announces an organizational restructure. Whilst stressing that there will be no redundancy, any staff wishing to leave the Company will be assisted. FHL announces Annual General Meeting to be held on the 23rd of October, 2015. FHL announces as per the SPSE Listing Rule 6.21, resolutions from the 30th AGM were passed without objection. Part of the resolutions were the re-election of Iowane Naiveli and Col MSD (Retd) Sakiusa Raivoce as Directors, the appointment of Commander Viliame Naupoto, Ratu Aisea Vosailagi and John O’Connor as Directors. It was also resolved that the second interim dividends of $0.11 per A Class share and $0.11 per B Class shares to be paid out of the profit for the period ended 30th June, 2015. Fiji TV announces the passing of the 2015 AGM resolutions which also included the ratification of appointment of Directors Apakuki Kurusiga and Ulaiasi Taoi as well as the re-election of Ajay Punja and Nouzab Fareed. RB Patel announces the unanimous approval of their AGM resolutions. This included the re-election of Surendra Patel and Kaliopate Tavola as Company Directors. FHL’s Group Awards Night was held at the Vodafone Arena with more than 1,000 guest. The guests included staff of subsidiary companies and their spouses. FHL announces the appointment of Napolioni Batimala as CEO for Merchant Finance Limited and Mosese Volavola as CEO for Basic Industries Limited. Following the reduction in VAT in the 2016 National Budget, Fiji TV announces the new prices for its pay per view television services. RB Patel declares an interim dividend of $0.04 per share to be paid on 25th February, 2016. The company’s revenue including other income increased by 3% to $57m. FHL announces the appointment of Paradise Tabucala as Communications Officer. The FHL group donates $10k towards TC Winston appeal. In addition to this, other subsidiaries also donated goods. Pacific Cement gave 50 tons of cement, Basic Industries donated 10, 000 concrete blocks, and FHL Properties & Fund Management distributed 100 cartons of dry food rations. Fiji TV allocated $20, 000 advertisement slots for DISMAC and Red Cross. Standard Concrete distributed $10, 400 worth of food rations. RB Patel provided dry rations in partnership with the Salvation Army, South Sea Cruises brought in volunteers to assist in rehabilitation work and Merchant Finance Limited provided a Disaster relief Package to its customers. FHL records a 30% growth for the six months ending 31st December, 2015. Group pre-tax profits for six months stood at $18.73m compared to $14.40m achieved during the same period. Fiji TV releases unaudited financial results for the six months ended 31st December, 2015 with a revenue of $5.1m for the first six months of FY16, a 29% increase compared to the same period last year. Fiji TV announces that it has secured permission to broadcast the first round of matches from the 2016 Super Rugby season on Sky Pacific. FHL declares $3.66m as an interim dividend based on the Groups performance for the six months ended 31st December, 2015. More than 1, 200 shareholders of FHL will receive their dividend on April 28th, 2016. FHL announces the resignation of Salesh Dayal as General Manager Finance and also from the various subsidiary company boards where Mr. Dayal served as Director. Fiji TV announces that from 1st April, 2016 Sky Pacific will officially become part of Digicel Fiji Group. FHL subsidiary – Merchant Finance Limited launches four new products designed to assist small and medium enterprises. Fiji TV announces a special dividend of $0.36 to be paid out to its shareholders following the successful sale of Sky Pacific and Media Niuguni. FHL announces the divestment of its wholly owned subsidiary in PNG, Basic Industries Limited PNG on March 31st, 2016 for a consideration of one million PGK to Pernix (PNG) Ltd. The move sees FHL making an additional 6 million PGK investment in Pernix (PNG) Ltd.
FHL extends its Group CEO – Nouzab Fareed’s contract by another 3 years until 2019. 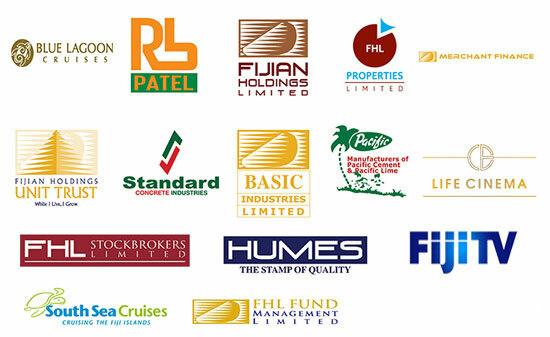 Under his leadership, FHL Group acquired Pernix (Fiji) Ltd, Fiji TV Ltd and South Sea Cruises Ltd and also divested loss making subsidiaries FHL Logistics Ltd and PNG based Basic Industries (PNG) Ltd.
RB Patel Group Limited launches their newly revamped website (www. rbpatel.com.fj) where people can also shop online from anywhere in the world using their credit card. FHL Group Sports day was held in Suva at the Veiuto School grounds. Staff and families enjoyed a day full of fun and team bonding. Fiji TV staff temporarily locked inside their office by the landlord – FPSCU. This follows a dispute with regards to the sudden increase in rental. However, GCEO Nouzab Fareed along with the CEO for Fiji TV, Geoffrey Smith met with the landlords and came to an amicable solution. The Fijian Holdings Group of companies announces an incentive system whereby monetary prizes will be given to Gold, Silver and Bronze medal winners (both as teams and as individuals) at this years’ Olympic Games in Rio de Janerio as well as the chance to work within the Group.